Since day one, Weglot has been part of the WordPress community, supporting WordCamps and Meetups around the world. But it wasn’t enough for us! We wanted to know more about the WordPress ecosystem and share the ongoing love story between Weglot and WordPress with the world. We thought that the best way to do so was to interview WordPress lovers from all around the world and get them to share their own experience inside WordPress communities :). To kick off Weglot’s newest blog series, we are more than happy to have an open-table discussion with Alex Sirota from WordPress Toronto. 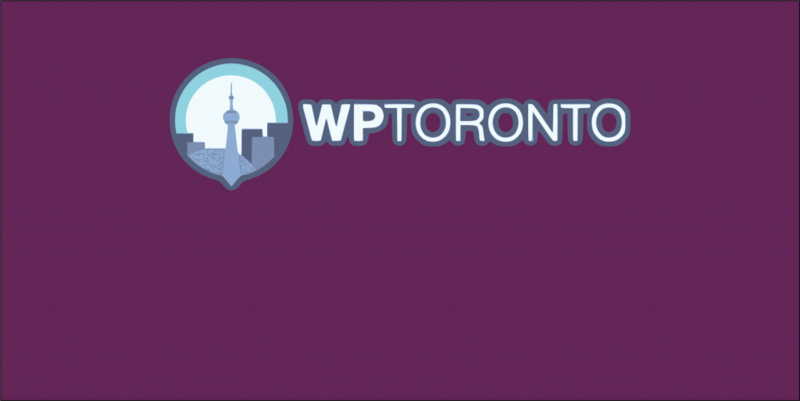 Who is the Toronto WordPress community? It’s been around for several years, 10+ years. The first WordCamp was in 2007 and the first WordCamp Central website still running is from 2011. There are over 2500 people on our WP Toronto Meetup Group, and we recap our meetings on wptoronto.com after they happen. The organization has gone through multiple hands in terms of leadership over the past decade, and in 2018 we had almost a 100% turn over in the leaders of the organization. There is only 1 person still intimately involved who started near the beginning – Andy McIlwain and he is a true mentor to everyone currently involved. He’s the connective tissue between the WordPress Toronto of yesterday and today. Now WordPress Toronto is supported by several people. Alex Sirota (me) and Kristine Black organize the North York “Let’s Fix Your Site” meetup. Kristine recently started a new Brampton popup meetup she’s testing outside of the Greater Toronto Area. Robin Macrae and Jacques Surveyer run downtown meetups. Andy McIlwain is involved in the east end meetup. Dan Stramer and Jeremy Choi are also involved in the WordCamp Toronto 2018 event as website/marketing/design and swag coordinators. This is the team that is running WordCamp Toronto 2018. I have a traditional computer science background and I grew up in the Detroit suburbs. I graduated from the University of Michigan, and after working for Apple Computer, Inc. in the mid 90s out of school I was recruited to come work for a small software development company called EveryWare Development. We made a piece of software called Tango that connected the web to relational databases. There I worked on an analytics product called Bolero, a precursor to Google Analytics. I also was product manager at an email marketing company called FloNetwork, that was a precursor to email marketing companies like MailChimp. After burning out in the startup life, I worked for the Ontario Government as team lead for over a decade and in 2014 started my own consulting business called NewPath Consulting. I am married with 2 children, an 18 year old son who wants to be a pilot and a 7 year old daughter who wants to be a princess. Oh and for fun I play trumpet in a band called Resa’s Pieces in Toronto. I can safely say my cup runneth over! For how long have you been using WordPress? And why you’ve chosen WordPress? I have been using WordPress actively since 2014. I must say I tried it out in 2009 (Maybe WordPress 2.7? ), but didn’t think much of it. That was before Custom Post Types and while it was a nice little blogging system, frankly I thought it was a toy. I wasn’t an active blogger and when I did blog I used TypePad (a Movable Type project), preferring it’s super simple interface without a lot of bells and whistles. At NewPath, we were looking for a solution that starts simple and allows a very long runway for growth. We find that small business customers who use WordPress start out thinking that it is really easy to make a beautiful website for no money, which is true! But very quickly once you start adding plugins and experimenting with themes the system outgrows the inexperienced newcomer to WordPress. There are many things you can do with WordPress, but many need help to get to beyond the “brochure” website, and that’s where we come in. I have come to believe that WordPress is not the solution for everyone, and I don’t think WordPress is the answer to every business challenge. It is well-suited for people who are ready to commit to maintaining their WordPress install and manage the software and learn about all the ways WordPress can serve their needs. I am pretty excited about WordPress’ vision of continuing to democratize publishing. There’s nothing like giving people the ability to create beautiful, powerful and functional things without a tremendous amount of technical knowledge! Well honestly I just started going to meetups and reading about WordPress online. I started a meetup in North York near where I lived to avoid having to commute an hour each way to the downtown Toronto meetups. We had trouble finding speakers who spoke about interesting WordPress-y topics, so we started the “Let’s Fix Your Website” idea in October 2017, and have been running it consistently every month since then. We consistently have over 20 people at each meetup, and the format is like a group “Happiness Bar” — we help each other to fix real problems we all are having. Once we moved into the free city space near the subway, people started coming out in droves with their WordPress challenges and conundrums. Today you’re playing a key role in the WordCamp organization, tell our readers more about the biggest challenges, the innovations and the new trends of the WordCamp Toronto. You know running an organization with volunteers is never easy. Last year we had one of the community members come out of nowhere and try to hijack the Toronto community by taking over WordCamp organization and not involving anyone who had been involved previously. He brought his own people into the mix and even scheduled the 2017 event on a very important religious holiday. While the 2017 event was well-attended there were some really odd sessions that had nothing to do with WordPress. It’s easy to see WordPress as a get-rich quick scheme, but it is the opposite of that it seems. It is a labour of love for everyone who is involved from the first-time WordCamp volunteer to the contributor who has given hundreds of hours of time improving the code base. This year the community banded together and reassembled a new group to run WordCamp Toronto 2018, from actual community organizers who run regular monthly events throughout the year. I think a big innovation has been to get the WordPress meetups to other parts of the city. Toronto is a huge place and not everyone can get to events that are far away, so making sure smaller, valuable and local events that happen across the Greater Toronto Area is a focus and that requires more committed volunteers. This is how the community will grow in Toronto and well beyond into the suburban areas of more than 5M people. For you, what’s the magical recipe for a successful WordPress WordCamp or Meetup? Oh man there’s no magic. There’s just a lot of hard work to take advantage of everything, everyone has to offer. WordPress is just code, and some of it isn’t that pretty. And running a WordPress community is just people, and the interactions can be complex between human beings. The most important thing is to get people who are excited to contribute just an hour or two per month. And of course documenting as we go is important. At some point running a community has to be self sustaining, and I personally think WordCamps should be run with someone at the helm actually getting compensated for their work. It can still be almost all volunteer run but I think the lead should get compensated and I will try to see if we can work a model by which that can happen. That will grow the community more and ensure even more professional events. But in some way the underground, amateur feel of WordPress events is what makes it special. It’s like a rock group that none has ever heard of, and you’re there at their first gig ever. Or their third gig ever. What will be the future of the Toronto WordPress community? I think the future is what our community volunteers decide it will be. The community grows each time there is a successful meetup, each time someone publishes a new plugin or theme and each time we run a well-received WordCamp. After a decade of WordPress events in Toronto, I do feel we are growing up, changing ownership and the key will be to ensure that people are doing this for the right reasons. It most definitely is not for new business or for getting well paid, because frankly any monetary compensation anyone received is more luck than anything else and just pays for the basics like space and a little food and maybe a pin. And yet being at the right place at the right time with the right people is most definitely a path to success. And I hope the community in Toronto continues to grow, let people outside of the well-trodden areas know about WordPress so that we can help each other have a voice, make a business and just create!